It's the last day of November and the pressure is on to Christmas with buying gifts. Sigh. My image today is a summery one because the day started out blah again and I am tired of blah days. This is from Tamarack Wildlife Refuge in Minnesota from this past June. 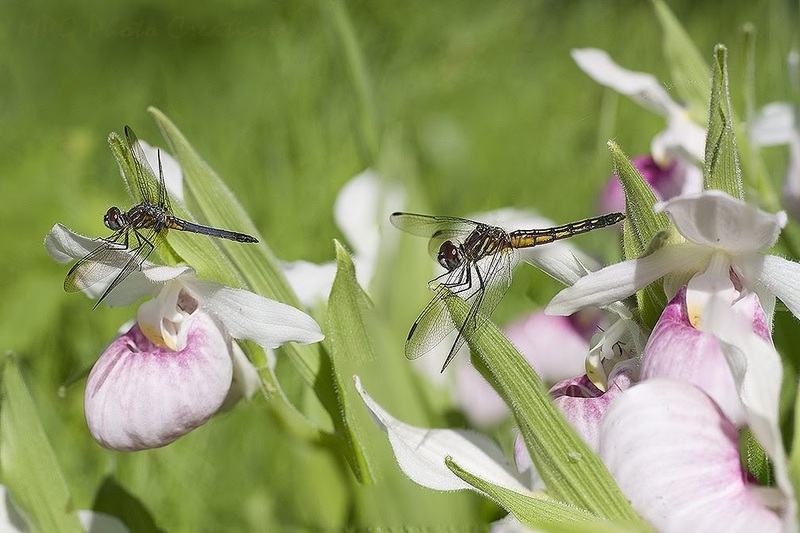 I captured these 2 dragonflies in 2 different images and stacked them together to show both in focus in Photoshop. I wish I had done a shot or 2 more to get the leaves in between them in focus as well but I was lucky they stayed still for even 2 shots.